An Indian launcher lifted off Sunday and placed France's Spot 6 commercial Earth imaging satellite and a Japanese secondary payload into orbit 400 miles high. The Polar Satellite Launch Vehicle lifted off at 0423 GMT (12:23 a.m. EDT) from the Satish Dhawan Space Center on Sriharikota Island, India's primary launch site on the country's east coast about 50 miles north of Chennai. Launch occurred at 9:53 a.m. local time, a delay of two minutes from the targeted liftoff in order to avoid colliding with an object already in space. The 146-foot-tall launcher soared through a thin layer of clouds and disappeared from the view of ground cameras about a minute after liftoff, but telemetry radioed from the vehicle indicated it successfully deployed the Spot 6 Earth observation satellite. 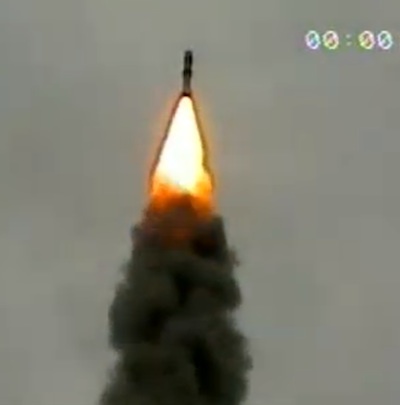 The rocket also orbited the student-built Proiteres microsatellite for the Osaka Institute of Technology in Japan. The 1,569-pound Spot 6 satellite will collect high-resolution imagery, resolving objects as small as 1.5 meters, or about 4.9 feet. A twin satellite named Spot 7 is under construction for launch in 2014. 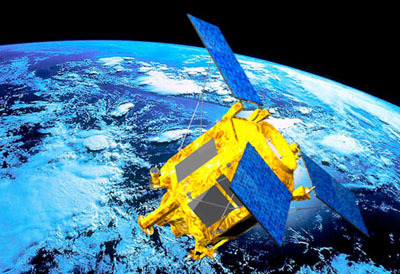 Spot 6 was built by Astrium Satellites of France, and its imagery will be sold commercially by Astrium Geo-Information Services, another branch of the European aerospace company which markets products of France's optical imaging satellites and radar-equipped German spacecraft. The Spot 6 and 7 satellites were privately financed to complement the Pleiades 1A and 1B imaging spacecraft owned by the French government. Astrium Geo-Information Services is also responsible for the dissemination of commercial imagery from the Pleiades satellite fleet. Pleiades 1A was launched in December 2011, and Pleiades 1B is due for launch on a Soyuz rocket in 2013. The Spot 5 satellite, which was launched in 2002, is beyond its design lifetime. Spot 6 and Spot 7 will continue the Spot Earth observation program until 2023, according to Astrium. When both satellites are operational, Spot 6 and 7 will collect imagery of up to 1.2 million square miles of the Earth's surface each day, according to Astrium. Astrium and Antrix - the commercial arm of the Indian Space Research Organization - announced the launch contract for Spot 6 in April. Launch services for Spot 7 have not been announced. 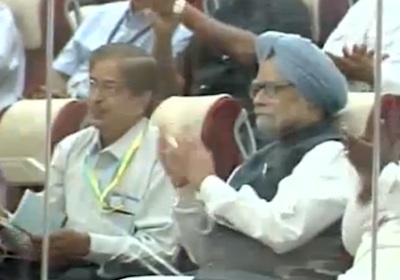 Indian Prime Minister Manmohan Singh viewed the launch from a control room at the space center, applauding as the mission director hailed the flight a success. "I am delighted at having witnessed today's launch of India's Polar Satellite Launch Vehicle C21 carrying two satellites," Singh said. "On behalf of all Indians, I warmly congratulate the Department of Space and all members of the Indian Space Research Organization for this spectacular success." The launch marked India's 100th space mission, including indigenous rockets and Indian-built satellites. "As ISRO's 100th space mission, today's launch is a milestone in our nation's space capability," Singh said after the launch, which was the PSLV's third fully commercial mission. 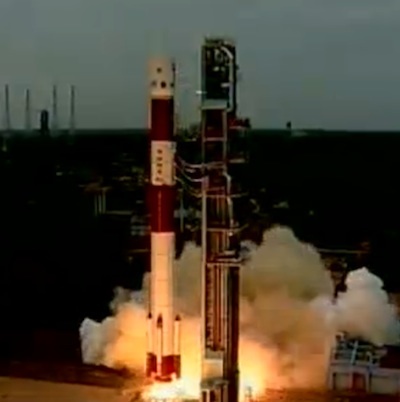 It was the 22nd flight of India's workhorse PSLV family since 1993. All but one of the PSLV's flights has reached orbit. "I have no doubt that ISRO will build on these glorious traditions and scale even greater heights," Singh said. "The ISRO community has always been a source of inspiration to our country through its quest for the stars." After his speech, Singh met with members of the launch team, which wore white lab coats emblazoned with 'PSLV' on the back.